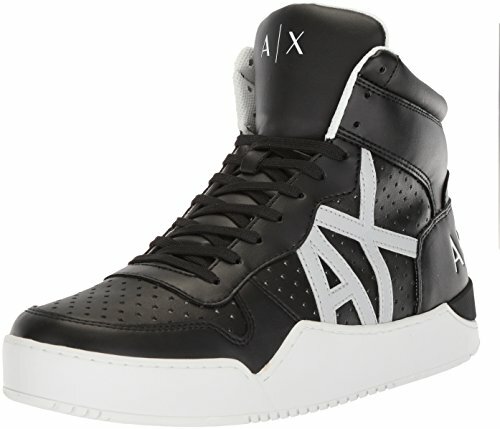 A|X Armani Exchange Men's High Top Perforated Lace up Sneaker, Black, 12 Medium US | What Should I Say? Perforated AX lace up high top sneakers with ARMANI EXCHANGE written across the back-- great for the street trend but also classic enough to be worn with jeans! Armani Exchange is under the luxury fashion house of Giorgio Armani, with all collections designed and distributed from Milan and offered to the world.